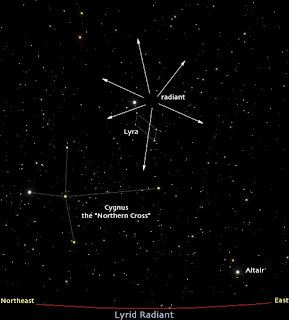 The Lyrids are a strong meteor shower lasting from April 21-22. Lyrid meteor shower happens when Earth passes through a stream of debris from ancient Comet Thatcher. This year Forecasters expect 10 to 20 meteors per hour. 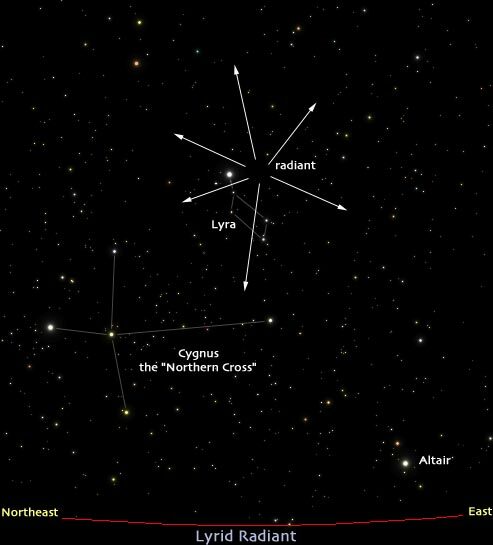 Lyrid meteors appear to stream from the bright star Vega in the constellation Lyra.